Search results for homes for sale in Barnesville Md. Listings are updated daily. As of the census of 2000, there were 161 people, 59 households, and 49 families residing in the town. The population density was 330.7 people per square mile (126.9/km²). There were 65 housing units at an average density of 133.5 per square mile (51.2/km²). There were 59 households out of which 37.3% had children under the age of 18 living with them, 71.2% were married couples living together, 6.8% had a female householder with no husband present, and 15.3% were non-families. 11.9% of all households were made up of individuals and 5.1% had someone living alone who was 65 years of age or older. The average household size was 2.73 and the average family size was 2.98. The Town of Barnesville is an incorporated municipality in Montgomery County in the State of Maryland. Management of the town’s affairs is the responsibility of three Commissioners, elected biannually. The Commissioners select from among them a President who is informally known as the Mayor of the Town. 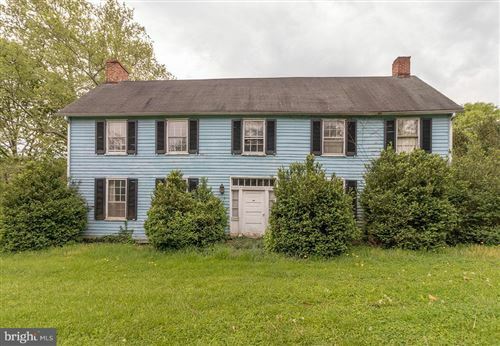 There are usually around a dozen Homes for sale in Barnesville Md. At the top of a ridge with views of Sugarloaf Mountain to the north and the Catoctin Mountain and Blue Ridge ranges to the west, Barnesville enjoys a connection with the rhythms of the natural world while being within commuting distance of the nation’s capital. The town’s motto, “A Caring Community”, is a testament to the sense of place enjoyed by the town’s residents and their neighbors in the Agricultural Reserve of Western Montgomery County. Barnesville is served by the MARC commuter rail system. The station building was originally a gas metering station in Rockville; it was moved to Barnesville in 1977.